The genus Enyo has 2 species in the USA, and about 8 around the world. This is a New-World genus. 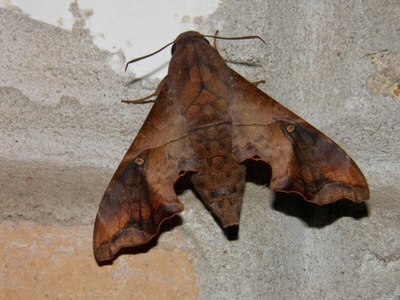 General Information: These are medium sized brown moths with irregularly shaped forewings. The eyes are often quite large and the thorax may have a ridge of scales. This genus usually has sexually dimorphic species. The males of this genus may have several lobes on the last abdominal segment. There is often a discal spot. Females often have black surrounding this spot.